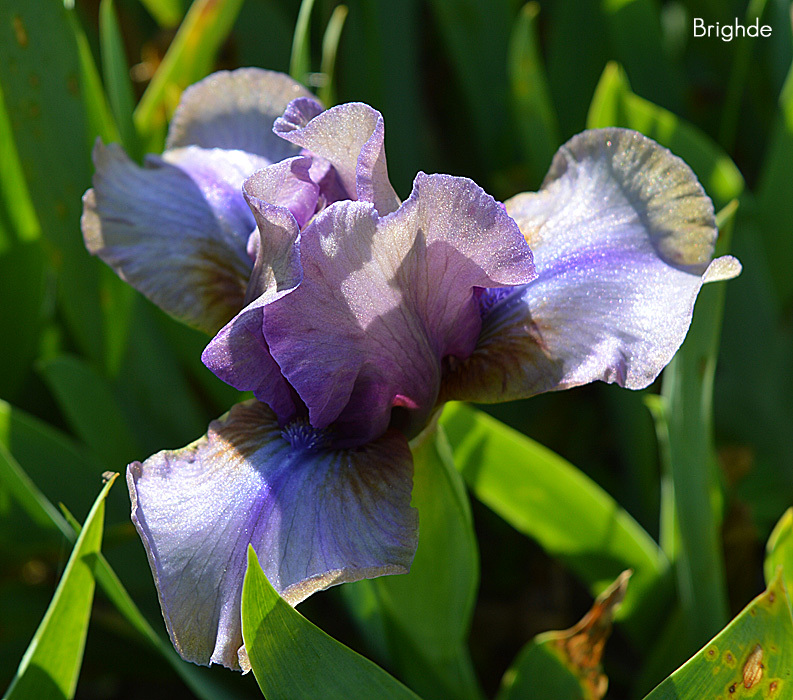 'Brighde' ( Denise Stewart, R. 2012) Seedling 385-04. SDB, 14 (36 cm). Midseason bloom. Standards light lavender, big darker lavender rib; style arms lavender; Falls lavender, hafts brown, veined purple midline; beards white in throat, brown in middle, lavender at end; slight sweet fragrance; ruffled. 'Aurora Sea' X 'Blueberry Tart'. Snowpeak 2013.
jpg BHP_6357-X2_brighde.jpg manage 102 K 11 Feb 2016 - 20:14 BrockHeilman Please contact Brock Heilman for image use.